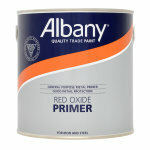 Albany Red Oxide Primer is a high VOC content finish. 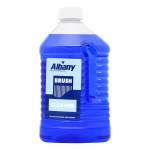 Provides a good protection on interior and exterior ferrous metal surfaces. It is especially recommended where corrosion conditions are not exacting. 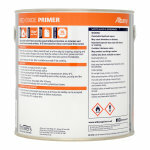 Economical, provides initial protection for ferrous metals, finish for interior and exterior use. 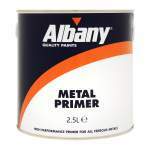 General purpose metal primer which is suitable for both iron and steel, this product offers good initial protection. Touch dry in 4-6 hours and recoatable after 16-24 hours. Albany Red Oxide Primer provides a good protection on interior and exterior ferrous metal surfaces. It is especially recommended where corrosion conditions are not exacting. Remove all rust, millscale, loose and flaking material back to a firm edge by chipping, scraping and wire brushing. 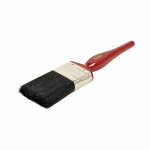 Feather off edges and ensure that the surface is free from rust, grease and dust. 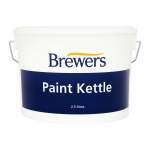 For best results steel must be cleaned back to a bright metal and painted immediately. Avoid the inhalation of dust. Wear a suitable face mask if dry sanding. • Stir well before use. Apply by brush or roller. 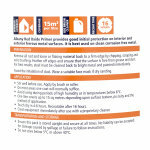 • One litre covers up to 15 sq metres depending upon surface texture, porosity and the method of application. • Surface dry in 4-6 hours. Recoatable after 16 hours.